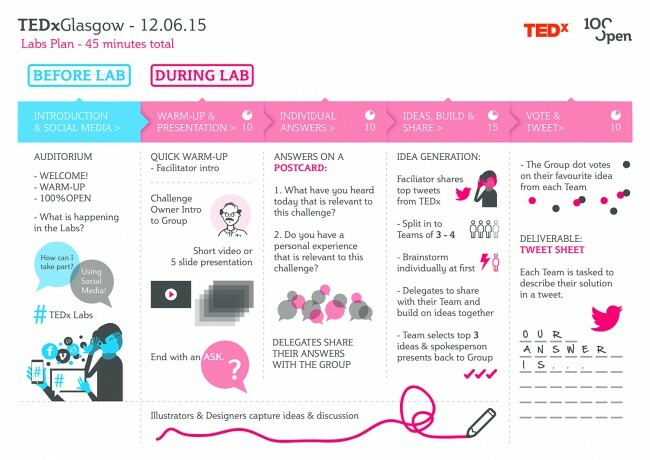 We are very excited to be the Labs partner for TEDxGlasgow on June 12th at the Tramway Theatre. The theme will be “Why Not Here?” and we will be exploring some very important and interesting challenges throughout the Labs with some of the smartest people participating from the 600 delegates that are registered to attend. The graphic above shows the process that we have designed specifically for this event and can’t wait to get stuck in. If you are interested in coming along and hearing some great speakers then check out the website and sign-up now here.